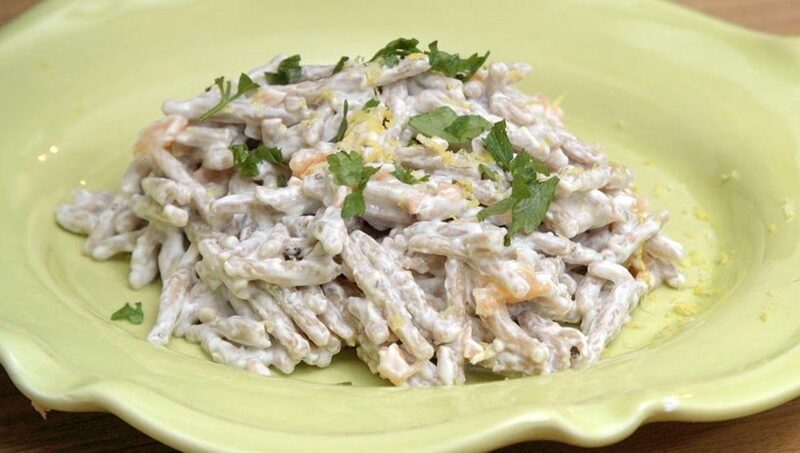 Our smoked salmon speedy pasta sauce is deliciously light yet creamy with a zesty lemon twist. PUT your pasta on to cook in boiling salted water for the recommended cooking time. HEAT in a pan the cream cheese and yogurt for 1min on a low heat then add the lemon zest. ADD 2 tablespoons of the pasta water to loosen the sauce a little. SEASON with a little salt and black pepper. CHOP your smoked salmon into small pieces.